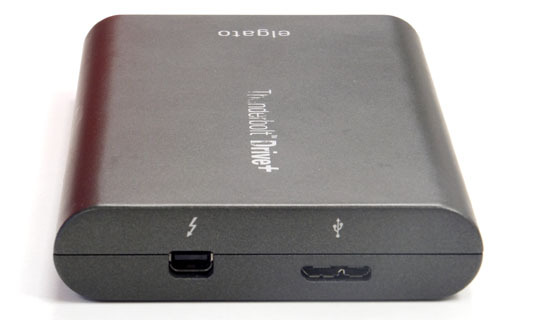 Review It took a bit of persuading to be convinced that Elgato’s Thunderbolt Drive+ drive should end up on the test bench for review. The company had released the, er, "non-plussed" version a couple of years ago and it didn’t quite set the world on fire. The problem there was that, despite having Thunderbolt interfacing capable of 10Gbps, the SSD inside was only SATA 2, which would top out at around 210MB/s. Given SATA 3 SSDs were just coming on stream this did appear to be a very curious combination. Although a Thunderbolt cable worth £30 was supplied, the overall price didn’t help either. All in all, Elgato’s first foray into external storage appeared to be more academic than practical. If you cracked open the 120GB model, you’d find a SanDisk Ultra inside worth £120 and yet Elgato was asking £350 at the time. That’s a mighty expensive case, but Elgato’s case in this case was that Thunderbolt users were getting an external drive that could be powered by the interface alone. 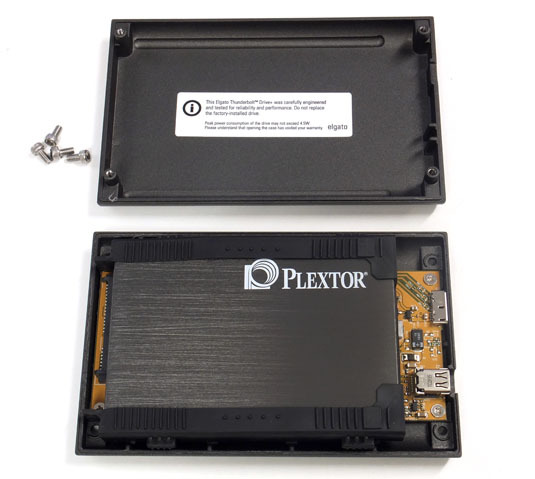 It’s a selling point that continues with the Thunderbolt Drive+, which this time round features a Plextor SATA 3 SSD. It looks very similar to the previous model but there’s the welcome addition of a USB 3.0 port too. That’s more like it, it’s just a shame that there isn’t a second Thunderbolt port to use for daisychaining. That said, Elgato can get away with it to a certain extent. OK, so you can’t rig up a second monitor using the host computer’s Thunderbolt port, which will also double as a DisplayPort interface. 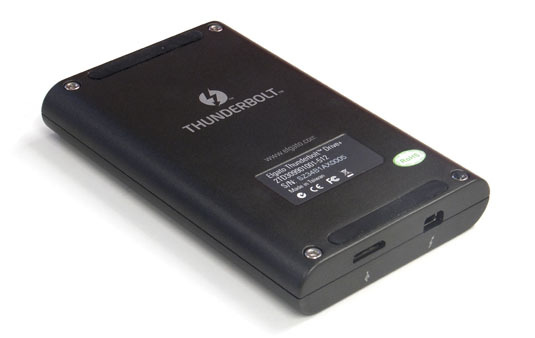 Still, it’s likely the target users would own more than one item of Thunderbolt storage, presumably a desktop drive such as a GTech G-Drive Pro or a WD My Book Thunderbolt Duo – which could handle the daisychaining to offload that weighty video project to the Elgato for an in-flight editing session. Indeed, this is precisely the sort of user Elgato has in mind, because everyone involved in video production is rolling in money and £760 for a 512GB SSD is weekend bender money for an entertainment bod, surely? Yet for the rest of us, that’s a serious amount of money for half a terabyte of storage, even if it is solid state. So how does Elgato justify it? First off, the Thunderbolt Drive+ houses a “server grade” Plextor PX-512M5Pro SSD in its 131 x 83 x 21mm sturdy metal enclosure and the whole lot weighs 270g. Elgato reckons it can deliver transfer speeds of up to 420MB/s, which is going to leave portable HDDs in the dust, for sure, but that’s hardly news for SSDs anyway. Evidently, Elgato is endeavouring to deliver a product that can justify a high price because it’s designed to be reliable and enduring. Yet considering you can still pick up a Plextor PX-512M5Pro SSD on-line for around £320, once again we’re back to Elgato asking an awful lot for an enclosure, even if it is for one that’s IP64 certified for dust and water protection with a rubber bung included to cover the ports. 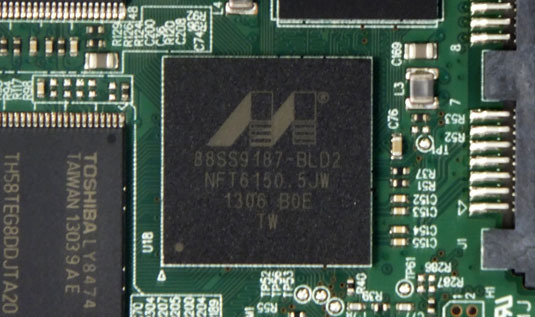 Apparently, the tech cleverness isn’t just about Lite-On’s Instant Restore, that maintains read/write performance over extended use or Global Wear Levelling techniques to distribute data across the drive to minimise wearing out the memory cells. 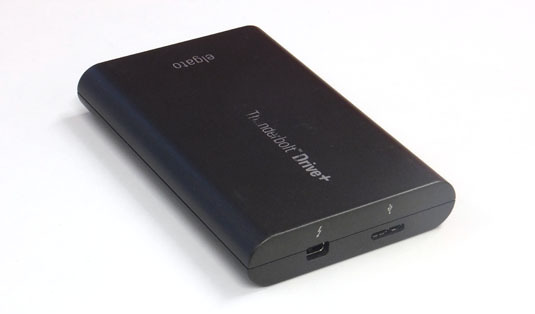 The additional tinkering Elgato claims to have done is to enable portable use without draining the host computer’s battery too rapidly.